When I was hired almost two years ago as a manager, it was with the promise that if I achieved certain milestones and met the company’s expectations my compensation would increase dramatically. I’ve met all the requirements and more, and no one disputes that. But when I approached top management about this recently, they said there’s no way they could pay me that much money. These are basically honest people, and I like working with them. They created the expectation, and I have worked exceptionally hard to earn exceptional money. I’m willing to stick it out, but I’m wondering if I was too trusting. I did not get all these promises in writing as you recommend. I decided to take a chance. 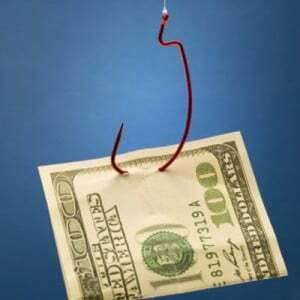 (I just bought Keep Your Salary Under Wraps. I figured I owed it to you. Your first book basically got me my current job!) I’d appreciate your thoughts. There’s no law against employers promising things they later decide they just “can’t” deliver — unless they put it in writing. I learned this the hard way, too. Many years ago I took over a sales group, and the VP offered me one of two deals: A decent salary and a pretty good commission plan, or no salary and a phenomenal commission plan. I quickly decided that if I couldn’t blow the quotas away, I just shouldn’t take the job. But I did, and the VP used to crow that he and I were the only ones that put their money where their mouths are and worked on 100% commission. It took a while for me to leave. But I’ve seen this happen many times to others, and the caution I offer is, get it in writing when you accept the offer. The agreement must also guarantee the plan throughout your employment, or they’ll reduce it. Few employers will put it in writing because the deal they offer isn’t real to them. That is, they really don’t know what to do with exceptional performers, except promise that they’ll take good care of them… until time comes to pay off. And here’s the serious problem: They can’t accept the idea that paying you a big chunk of a lot of money is better than paying a small percentage of a lot less money. So they lose managers like you. For some of the very best advice about how to protect yourself when accepting a job offer, see Bernie Dietz’s excellent article, Employment Contracts: Everyone needs promise protection. None of this helps you now, but it might help you next time. 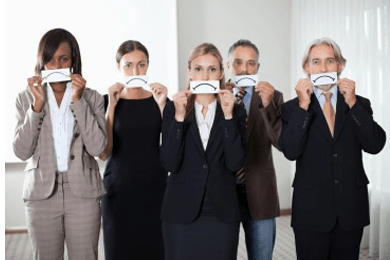 If your boss doesn’t understand that the best way to lose the best employees is to welsh on compensation, then either you adjust your expectations, or you find an employer that is willing to pay for exceptional performance. They’re out there. But you won’t find them by applying for jobs. You pick the sweetest companies, then research the management team — and when you find such a company, you go after it. But once you’ve got the deal you want, get it in writing. It’s not real (as you’ve learned) if they won’t sign it. But you can still try to fix this now. Try to “renew your wedding vows.” Is the company willing to sign a friendly letter of intent that re-states your original agreement with a firm timeline based on your performance? It’s not too late to amend the employment deal you took. 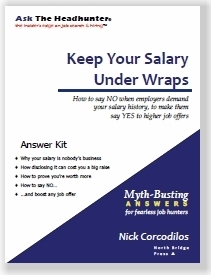 In Keep Your Salary Under Wraps I recommend William Poundstone’s excellent book, Priceless: The myth of fair value. This book explains how a salary is “anchored” to a low point. Don’t let it happen to you. The book also explains how to pull a negotiation upwards by understanding the parameters of the anchoring effect. Contrary to the conventional wisdom (“Whoever states a number first, loses.”) it turns out that you can control negotiations about money if you know what number to state and how to state it. Thanks for your kind words. I wish you the best. Did you get paid what you were promised? Or, did you get suckered into delivering exceptional performance without exceptional compensation? Is it reasonable for employers to avoid big payouts? Let’s talk about how to protect yourself. Pssst! Here’s where you should be recruiting top talent! The problem is this. Employers actually LOVE this current job market. They can control costs by paying exactly what they want for a given job/position…and they have an ENORMOUS pool of willing applicants from which to choose. Some of them, I would say most of the Fortune 1000, are doing well and extremely profitable. There is little reason or incentive for them to hire more people. I just got rejected after 9 AM in the morning after I applied for a job at midnight. Something tells me a human didn’t actually read my application. Companies who treat the employees like crap will be emptied out of their good employees once the economy gets better. Of this I am convinced. If a company craps on people in the bad times, they certainly cannot be trusted in the good times…. I think Mason is right. I saw his prediction come true in Silicon Valley more than once, after a bust cycle turned into a boom. Here’s how it works — and you tell me if you agree. During a bust, revenues and profits crash. Business tanks, and companies lay off workers because they can’t afford them. As the cycle turns and we start toward a boom (or think we are, anyway), sales take off, revenues spike, and profits surge. The dirty little secret, though, is that a big part of the soaring profits stem from higher productivity that results from lower staffing levels. Fewer workers are doing more work, which yields higher profits for employers. This is nice. But it’s unsustainable. It’s junk profitability. While some of the higher productivity can be attributed to increased efficiencies created by technology, much of it is still due to artificially low staffing levels. Companies today are teetering on the bleeding edge of high profits, and they really don’t want to start hiring again if they can avoid it. The question is, how long can they sustain these levels of productivity and profits? Over-worked employees will leave the minute someone makes them a better offer. And that’s an enormous opportunity for companies that get it. Riding the wave requires deft skills, and greed just causes more crashes. Some top-notch workers are already looking for better deals — because the economy is at a tipping point. If you want to recruit top talent — dedicated workers who are ready to move — you need look no farther than the most profitable companies that haven’t been hiring. They may be advertising jobs, but as Mason suggests, they’re just pretending. They’re not hiring at levels significant enough to sacrifice their artificial profits. Their best employees are ripe for the picking. Note to those employees whose eyes are wandering — these signals point to renewed freedom to negotiate really good compensation and benefits deals. I believe it’s always good to leave a few bucks on the table when negotiating, as a sign of good faith, but don’t leave too much. As Mason suggests, you still can’t really trust them, so take some profit of your own on the front end. In the October 23, 2012 Ask The Headhunter Newsletter, a job hunter asks about bait-and-switch contracts used by “staffing” firms. A recruiter at an IT staffing firm did something that I think is very unethical. I signed a contract with the firm to perform IT duties at a company where I successfully interviewed just days before. It specified the hourly pay and overtime. I verbally negotiated the rate prior to signing the contract. Unfortunately, I did not ask for a copy of the contract. Yesterday, the recruiter asked me to sign more forms. There was a new contract, and a significant reduction in pay! The overtime was deleted and the pay was stated weekly instead of hourly. When I pointed this out, the recruiter e-mailed that, “We lost the original contract.” I called the next morning, and the recruiter insisted I sign the new forms and said she would take care of my concerns. When I balked and declined to sign, she said they would redo the forms but it might be a day or two. Meanwhile, I’m supposed to start work tomorrow! I find this utterly distasteful and unethical. I’m going to wait and see if the recruiter comes up with the correct terms before I contact the staffing account manager or the company I’m supposed to work for. My question is, why are they stalling with the new contract? Why couldn’t it be immediately corrected? Maybe they are waiting to find something in my background check so they can report to the company that I am “unsuitable” for hire. Then, they can go out and find someone cheaper. What do you suggest? What you’re describing is, unfortunately, not uncommon in the IT “staffing” or “consulting” biz. (It’s not just the IT field that uses staffing firms.) These companies recruit and hire people, then “rent” them to their client companies at a profit. Things like this happen because overly-eager recruiters get excited when they find a candidate like you. They want to sign you up and assign you to a client, so they promise you a contract that’s to your liking. Later, the sales rep handling the account you’d be assigned to can’t get the rate the recruiter promised you — so the deal changes. It’s a classic bait-and-switch game. It is crucial that you read everything before you sign, and make sure everything you negotiated is in the written contract. No matter what you negotiated and they agreed to orally, what matters is what’s in the written contract. Make sure you get the counterpart of the contract — the copy they signed — and tell them you will not report to work until you receive it. 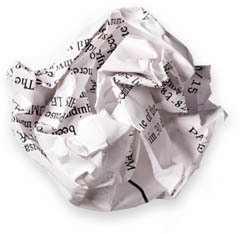 Often, a firm will demand that you sign the contract, then they will “forget” to give you the copy they signed. The games some of these companies play are unethical — but they do it anyway. Your protection is to insist it’s in writing, and to politely but firmly decline to show up for work until the written contract is to your satisfaction. But be careful. If you sign something without reading it carefully, and then you decide you want different terms, too late — you’re already committed. Be very, very careful. Good contracts make good working relationships. One tactic they may use is to ignore your requests right up until the last minute, maybe the day you’re supposed to show up for work. This puts you on edge and makes you very nervous. You want the job, but you don’t want the terms. They figure you will cave to get the work, so they will push the envelope hard and far. Unless you have a history of good experiences with them, don’t believe anything until it’s in writing in your hands. You may really need the job, but you must decide in advance whether you will accept lesser terms or such behavior. Then stay calm, don’t complain, don’t get angry. Just state your terms. Your overriding strategy must be to make yourself highly desirable or indispensable to the consulting firm. Make them need you. Then make your reasonable demands calmly and firmly. Then let them decide, and let them reveal whether they are honest and have integrity. You’re doing the right thing. This can be risky, but you must decide your tolerance for such risk: If they want to play the last-minute game, you can play, too. Just know what you’re doing in advance, and let this play itself out. If they don’t give you the contract you agreed to, then stop working with them. They’re not honest. Not all companies will answer you — they get nervous. They may even have a contract with the staffing firm that prohibits them from discussing this with you. But you must decide whether integrity is important enough to kill a deal. In the end, you may need to meet a new staffing firm, and a good way to do that is to talk with a company where you’d like to work, and inquire which staffing firm they use. There are some very good staffing firms out there: Get a personal introduction to them, and learn to igore the rest. Get a personal introduction. As more companies try to avoid the fixed overhead of staff, they’re going to look to hire “on contract.” Do you see this trend in your own business? Have your experiences with staffing firms been good or bad? What would you do in a situation like this? What methods do you use to avoid problems and to get a good deal from staffing firms? When PBS NewsHour broadcast a TV segment I that I appeared in on September 25, viewers flooded us with questions about online job application forms — and about all kinds of daunting obstacles they face in the job search. I answered many of their questions in a special column on the NewsHour website. And the questions kept coming. The host of NewsHour’s Making Sen$e program, Paul Solman, asked me to do a regular Ask The Heahdunter Q&A column — and the feature keeps growing! We’ve done Open Mic here on the blog before — and that’s the theme of my new feature on NewsHour. What’s your problem? What challenges are you facing in your job search — or if you’re a manager and you’re hiring? Join me for the latest round of Q&A! My hope is that you’ll post your own advice, thoughts, biting commentary, suggestions, and ideas about what makes the employment system stop and go. How Can Starting Your Own Business Help You Find Employment? As long as you keep asking questions, I’ll do my best to answer them. As long as you keep posting your comments, I’ll keep chiming in — and I expect the input and discussion you generate will change some lives, just as it does here on this blog. The feature has been so popular that each new column has been trending on GoogleNews Spotlight. Join us and keep the discussion lively — and keep us trending! What’s worse? 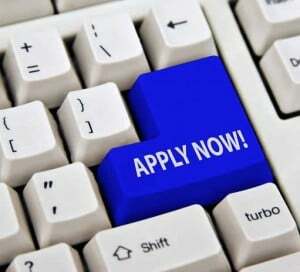 Online job application forms or job boards? Are online job applications as ineffective as job boards? Also, I have a hard time getting replies from people I’ve met with about starting a business. They express interest, even excitement, about my plans. I give them the time, space, and money requirements to get the business started, as they requested. But then all I get is silence. What to do? If by online applications you’re referring to a company’s own job listings on its own website, that’s a more productive channel than third-party job boards. The same surveys that show Monster and CareerBuilder deliver no more than 2%-5% of hires suggest that employers’ own sites are a better bet. Nonetheless, using any automated job application method is a fool’s errand: They all dump you into a database, and good luck getting in front of a hiring manager! 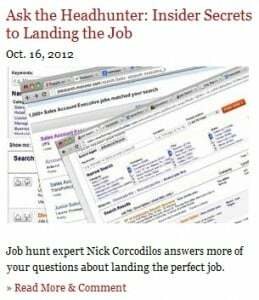 Employers do tend to keep job listings on their own websites clean and up to date, and they usually turn to those first. None of the surveys address it, but I’d guess there’s less competition on a company’s own jobs pages simply because most job hunters prefer to apply for hundreds of jobs at once on the big boards. Ironic, isn’t it? They want an edge, so they compete with more job hunters on the boards! If you find a job on a company’s own website, I suggest tracking down the manager and sending a personal e-mail. Don’t just reiterate your interest — there’s nothing useful in that. Instead, ask a good question about the job and the manager’s department. Get the manager talking about the work. It’ll set you apart. 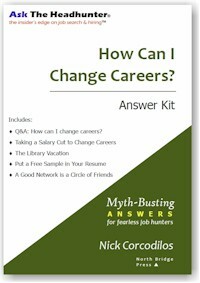 In How Can I Change Careers?, there’s a section titled “A Good Network Is A Circle of Friends.” It shows how to triangulate to meet people peripheral to a manager, so you can get a personal introduction to meet. Now let’s talk about why people who express an interest in your business concept don’t follow up with you. It’s almost always because they’re too busy, or because while they are sincerely interested, they’re not in a position to help you. Try this: Talk to lots of folks about your idea, but then focus on just those who can really be helpful. Plan how you will follow up with them. When they express interest, outline your follow-up plan. Be frank: Ask them how exactly they think they can help, and what further information they need to do it. But then, it’s up to you to check off the boxes on the “to do list” you discussed with them. Keep in mind that virtually no one will follow through with you. That’s just the nature of starting a business. All you need is one key supporter. And it’s up to you to figure out who that might be. It’s no different than carefully picking the employers you think you can help. Are employers’ own online job application forms any better than using the job boards? More important, what methods do you use to meet hiring managers? How does the Working Resume work? 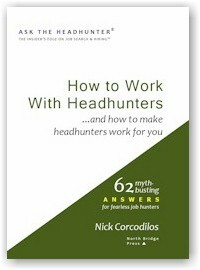 In the October 9, 2012 Ask The Headhunter Newsletter, a job hunter tries to figure out the Working Resume. But I still can’t find a concrete example of what a “Working Resume” is supposed to look like. I understand that no Working Resume will look like another because each one will be tailored to a specific job in a specific company. Other than adding a “Value Offered” statement at the top of the Working Resume, how is it structured differently than the traditional resume? A clear picture of the business of the employer you want to work for. Proof of your understanding of the problems and challenges the employer faces. A plan describing how you would do the work the employer needs done. An estimate of what/how much you think you could add to the bottom line. So the “what” is pretty clear. My question has more to do with the “how” — the actual mechanics of doing so. Do you write out a proposal? A business plan? A project plan? I’m confused. “Any or all of the above.” A Working Resume is structured differently from a traditional resume because it’s not a resume. So toss out your resume. Seriously — your Working Resume can be a proposal, a business plan, a project plan, or an outline of how you will get the work done profitably. Desired outcome of this job: Increased sales of blue widgets to the hospital supply industry. Challenge your company faces: Two of your competitors are under-pricing you by 10%. Underlying problem: Competitors’ products are inferior, but their advertising is effective. My solution: Promote specific features the competition can’t match, both in ads, packaging and sales presentations. My plan: Meet with product managers, marketing and sales team to coordinate a new presentation of the product and a new strategy for promoting it. Get this done in 30 days. Roll out new campaign in next 30 days. Profit Estimate: Using these steps I believe I can help increase unit sales 10% in 60 days without reducing price. Such sales would result in 20% more collateral sales of associated products. I estimate this would increase total revenue by X% and possibly enhance overall profit by Y%. If that kind of presentation doesn’t get attention, nothing’s going to help you. You must tweak this format and content to suit your situation. Do not do it exactly as I’ve outlined, because every situation is different. That’s why I don’t publish samples of other people’s Working Resumes. Before you can legitimately ask for a job, you must assess the needs of a company and plan how you will contribute to its success. Don’t behave like a job applicant in the job interview; behave like an employee. Show up ready to do the job in the interview. Bring a business plan showing how you will do the work and contribute to profitability. As you can see, there’s nothing easy about applying for a job with a Working Resume. That’s because, if you aren’t willing to make this investment, you don’t deserve the job. A few weeks later, someone from IR called back. I asked my question, and they responded by asking me why I was asking. I told them I was looking for a job, and when I said that, I was told to go to the HR department, even though the question was a technical question about their products. No one from PR ever called back. I realized that I had not exactly followed your directions, since you suggest asking for the Sales department. Today I tried calling another company in the same industry as the first. When I requested the Sales department, I was asked why. I mentioned that I wanted information about a couple products of theirs. They asked who I was, and I said I was a job seeker who wanted as much information as possible before the interview. Without another word, I was switched to the HR department, and listened to a recording telling me I should go to the website to apply. How do I avoid the HR department? I would rather not be dishonest when asked why I am calling. Any help you could give would be appreciated. More than once, I’ve suggested that one way to “get in the door” at a target company is through the sales department. Let’s look at this approach again. I frequently go to IR or PR to get info about companies. I’ve never been ignored. Investor Relations in particular always responds quickly. I guess I wonder what’s up at the company where you’re not getting calls back. These alternate doors into a company that we’ve discussed before require some finesse. If you immediately disclose that you’re looking for a job, you’ll be dumped into HR, as you’ve learned. But don’t shoot yourself in the foot. 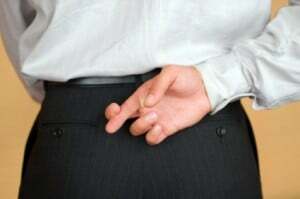 Until you’re talking one-on-one with the sales rep, do not disclose that you’re job hunting. Anyone else who answers the phone is going to do a mental calculation and try to route you to the “appropriate” department — not to the person you really want to talk with. Of course, IR and PR are equally useful departments to talk with. Request appropriate information and web links from either office, then pause and ask for advice and insight about the company as a place to work. You may find yourself talking with an employee who is impressed at your approach, and who refers you to a manager in the department where you want to work. Of course, none of this is easy or quick. If it were, everyone would be doing it. You must prepare something to say in advance, to engage the person you talk to. Focus on their work, and on what they do before you start talking about yourself. Someone’s going to read this and suggest that calling other departments in a company to research a job opportunity is a ruse — and that of course the IR or PR department is going to be upset that you are calling them rather than HR. All I can do is shake my head. Dedicated job hunting requires research and information gathering. All HR requires is your resume. Which approach do you think gives you an edge? So in this case, the receptionist routed you to HR, which played you a recording that instructed you to apply on the website. That’s the corporate image IR and PR want to cultivate? Is it any wonder I tell you to talk with anyone and everyone in the company — except HR? There are other paths to the job you want. 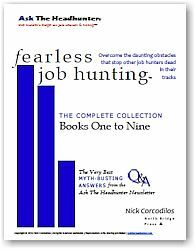 See Fearless Job Hunting, Book 3: Get in The Door (way ahead of your competition). 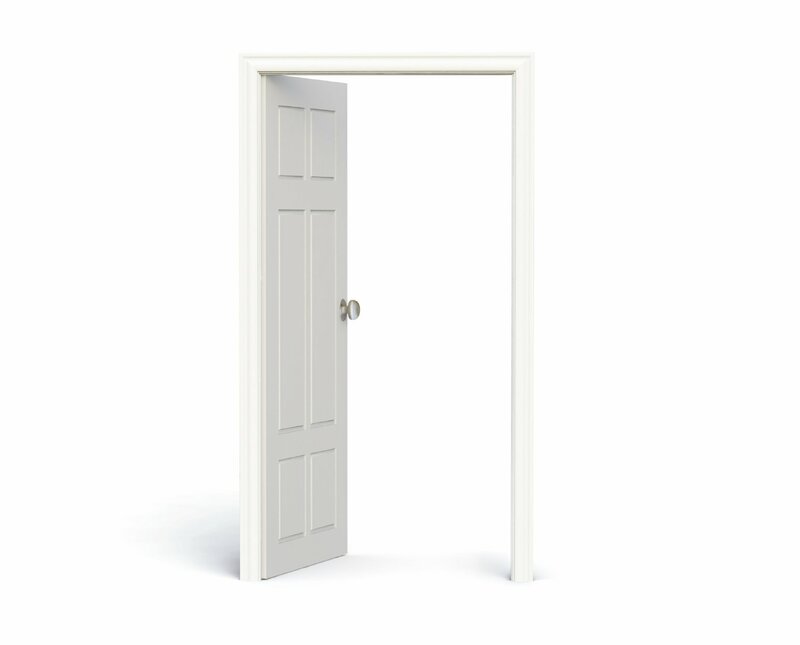 How do you get in the door? Whom do you talk and what do you talk about? 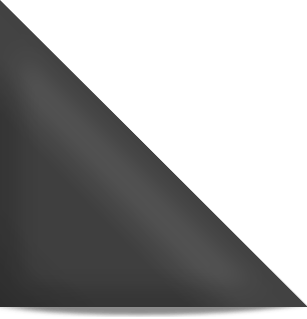 Is HR even necessary at this critical point in your job search?